An affordable and robust above ground swimming pool which is also quick and easy to set up, the 12ft Steel Pro Metal Frame Garden Pool Set is an ideal family swimming pool perfect for Summer parties, keeping cool on hot days, luxurious relaxation and for fun with friends and family! Unlike permanent swimming pools which require lots of work, digging, time and expense, the 12ft Steel Pro Metal Frame Garden Pool Set requires hardly any time or hard work to set up, only requiring a flat, solid surface for installation and when you’re done the metal frame pool set can be simply taken down and packed away. 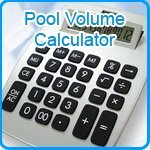 How do I put the 12ft Steel Pro Metal Frame Garden Pool Set together? Steel frames are at the heart of the 12ft Garden Pool Set and are fitted together using simple ‘T’ connectors and ‘C’ clips which are then used to hold the liner and durable outer wall in place (which flaps over the sides a little to protect against rust or injury!). The only time you’ll ever need to wield a screwdriver is whilst fitting the filter pump, which in itself is pretty straightforward. It’s pretty much as simple as that and usually takes no more than an hour to construct, so you can spend less time building and more time splashing about in your very own pool! To give you an extra helping hand, the 12ft Steel Pro Metal Frame Garden Pool Set comes with a handy set-up and maintenance DVD for some simple pointers.